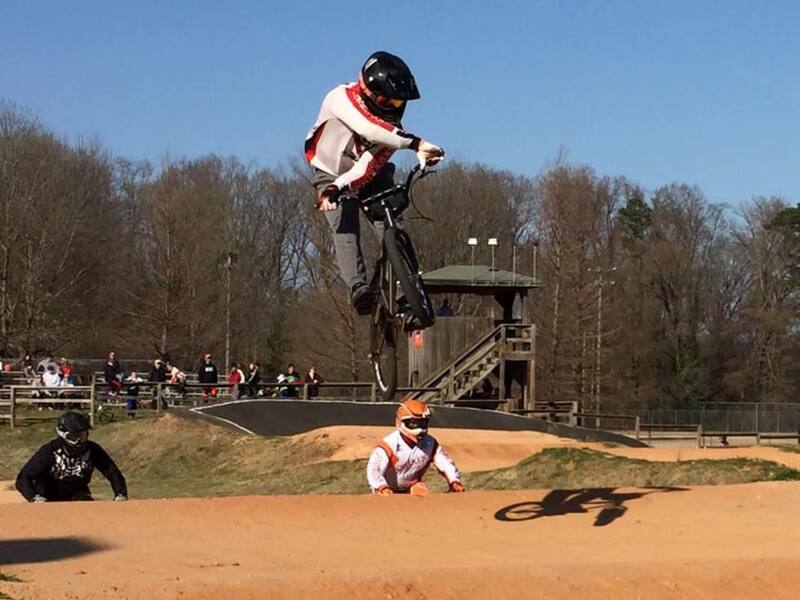 Capital City BMX is a bicycle motocross race track located at the Lions Park, 516 Dennis Ave, Raleigh, NC 27604. Please check the schedule for designated racing/pracatice times. The racing season generally starts in January/February of each year (weather depending) and conclude on December 15th of each year. BMX racing is open to boys and girls of all ages. Come join the fun! Any BMX type and size will do, but we recommend that you start with one that has a 16" to 20" wheel diameter - as that is the allowable limit in the Novice class. You may race any bike with larger wheels in the Cruiser class. BMX racing is open to any boy or girl who can ride a bike – ages 2 – 92. At Capital City BMX, the racing season lasts all year long, as weather permits. You can fit BMX racing in between other activities, like work, school, sports, church, and scouting. Spectators are always free at local races. Capital City BMX is officially sanctioned as a USA BMX track by the American Bicycle Association. Each rider is permitted one trial race, after which you must purchase a 1-month temporary or 12-month full membership from USA BMX to continue racing. These memberships can be purchased at Capital City BMX.